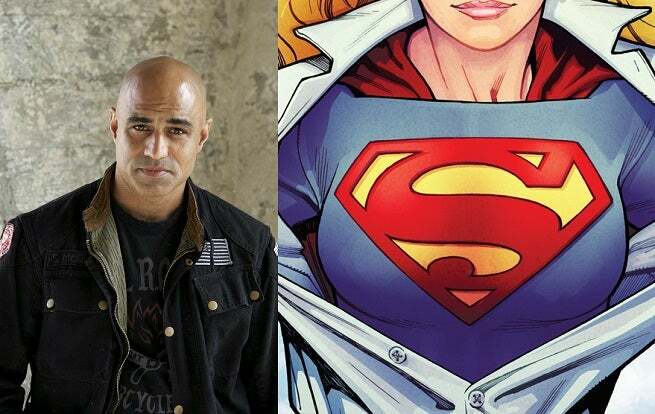 Faran Tahir, recognizable to fans of Iron Man and Star Trek, has joined the cast of CBS' in-production Supergirl pilot, ComicBook.com has learned. Tahir is playing The Commander, an alien military expert leading the forces aligned against Supergirl. That is, he is an alien who is also a military expert. Start your engines speculating who he might be. While nobody springs immediately to mind, it's hard to imagine that some of the characters from recent storylines like "New Krypton" and "H'El on Earth" won't be getting a good, long look from fans in the coming days and weeks. In the "New Krypton" storyline, she foiled an assassination attempt made by Commander Gor, a member of the Kryptonian Military Guild in Kandor, against Labor Guild member Tam-Or. Tahir is a prolific talent, having appeared on The West Wing, JAG and in Elysium, among others. He's a guest star in the pilot, with the possibility to become recurring on Supergirl...but it certainly seems likely he'll be upgraded if the show goes to series.